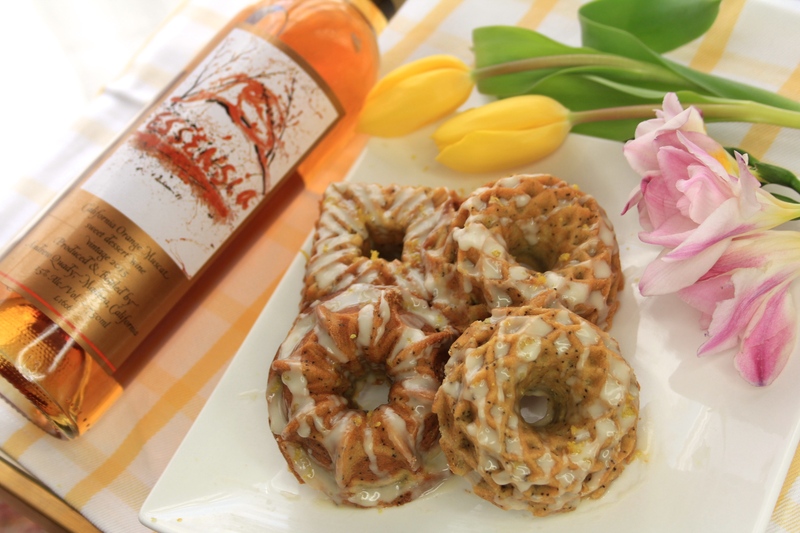 The varieties used in Quady Dessert Wines vividly express the blooming fruit that fills the San Joaquin Valley during spring. This makes them the perfect ingredients for your springtime brunch dishes. 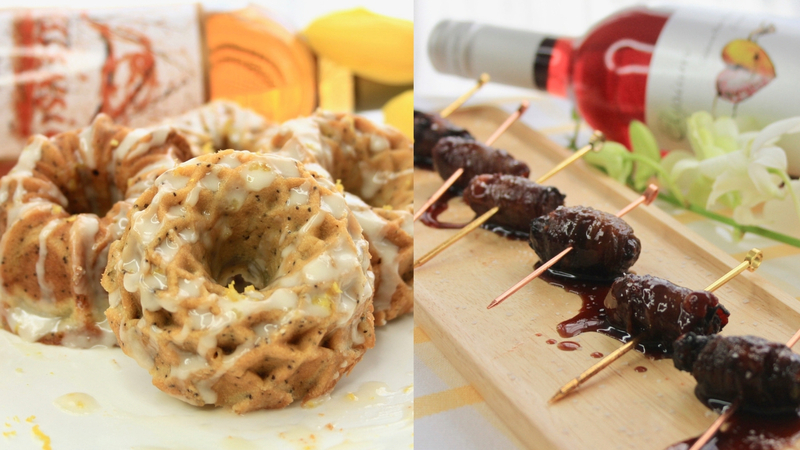 The flavors of apricot, orange marmalade, and the aromas of orange blossoms in our Essensia Orange Muscat will tantalize your taste buds and complement the sweeter items of your brunch spread. Contrastingly, the bold dark berry flavors of our Elysium Black Muscat create a decadent layer in savory and salty dishes. Not only are we taking care of your food inspiration, but we’ve got your drinks covered as well! 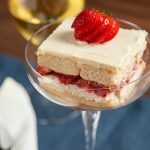 Each recipe below includes an equally delicious fruity-fresh low-proof cocktail pairing using Vya Vermouth. In a medium mixing bowl, sift the cake flour and baking powder. Add in the salt and whisk until combined. In a different medium sized bowl, whisk together the sugar, and eggs. Add in the dry ingredients from the first bowl. Mix until just combined. Pour in the melted butter and continue to mix until smooth. Add in the lemon juice. Fold in the lemon zest and poppy seeds. Transfer the batter to a covered container and refrigerate for 8 – 34 hours. Preheat the oven to 425. Lightly grease a bundtlette cake pan. Use a large spoon to spoon the batter evenly into the cake molds. Lower the oven temperature to 325. Place the pans in the oven and bake until the cakes are golden brown and a skewer inserted in the center comes out clean (roughly 35 minutes). Set the pans on a rack to cool. Remove the cakes from the bundtlette cake pan once cooled and drizzle with Quady Essensia Orange Muscat Glaze. Combine ingredients in medium bowl. Whisk together until glaze is thick and smooth. Drizzle over cakes. Place the mint leaves and cucumber in a cocktail shaker and muddle with a muddler or wooden spoon until the mint and cucumber are bruised and their scent is released. Add the simple syrup, lemon juice, and ice. Shake vigorously. Fill your rocks or highball glass with ice. Strain into the glass. Top up with sparkling water. Garnish. *Simple syrup: Boil 2 parts cold water with 1 part granulated sugar. Stir until combined into a syrup. In a separate large pan over high heat, bring 1 cup of Quady Elysium Black Muscat, sugar, and water to a boil. Lower to a simmer and cook until the sugar dissolves. Slice the dates into halves. Divide the date pieces among the 4 pint jars. Pour the Elysium syrup over the dates. Place the jars on a rack in boiling water while ensuring there is enough water to cover the jars by about an inch. Return the water to a boil. Starting from when the water boils, stew the jars for 15-minutes. Turn off the burner and allow the jars to cool in the water for 5 minutes. Carefully remove the jars from the water and allow to cool. Preheat the broiler. Line a rimmed baking sheet with aluminum foil. In a large skillet over medium heat, cook bacon until the bacon is pliable. Place the bacon on a paper towel lined plate to absorb excess grease. Set aside. Fill each date half with blue cheese. Tightly wrap each date with a half-strip of bacon and secure in place with a toothpick. Place, cut side up, on the prepared baking sheet. In a medium saucepan, cook 2/3 cup of Quady Elysium Black Muscat over medium heat until reduced by half. Whisk in the butter and brown sugar until combined to a liquid. Whisk occasionally to thicken enough so that it coats the back of a spoon. 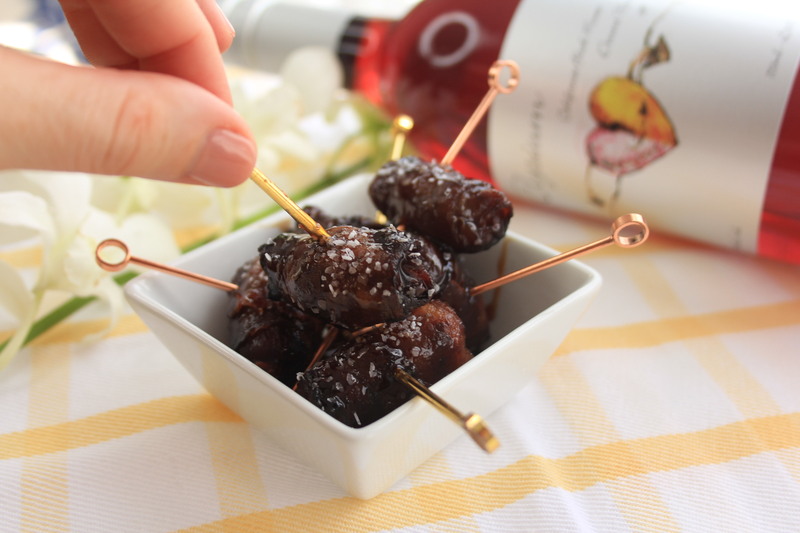 With a pastry brush, stroke Quady Elysium Black Muscat Glaze over the top side of each bacon-wrapped date. Broil until the bacon has browned, about 4 minutes. Sprinkle on rock salt. Serve when warm. In a large punch bowl, combine two of the sliced cucumbers, oranges, lemon, and half of the basil. Pour in Vya Sweet Vermouth, Vya Extra Dry Vermouth, soda water, and the cucumber simple syrup and stir until combined. 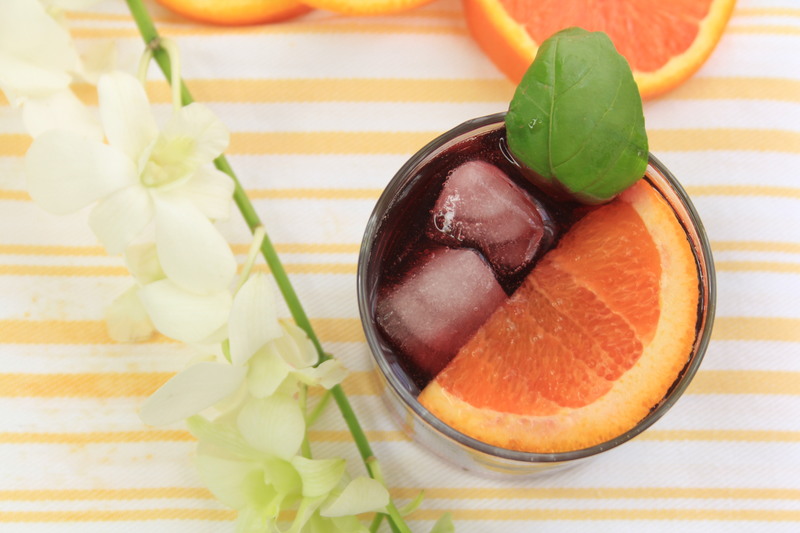 Fill glasses with ice and ladle in the punch. Garnish. 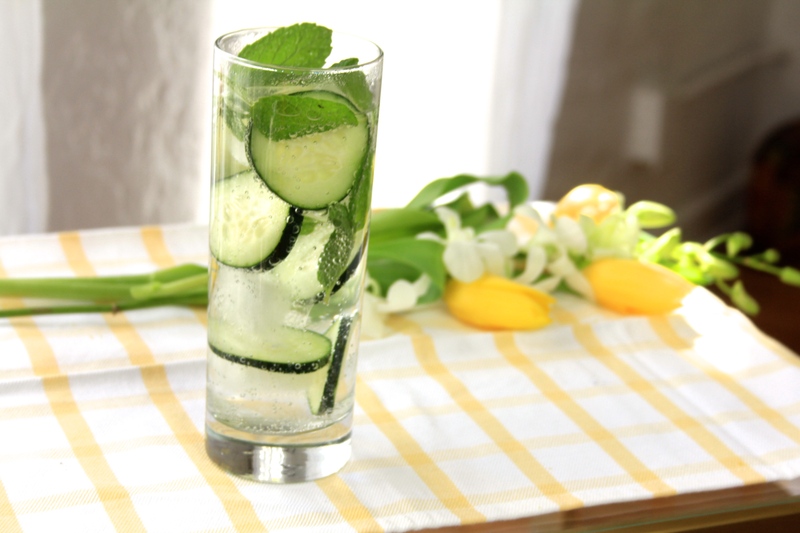 *Cucumber simple syrup: In a small saucepan, combine 1/2 cup sugar and 1/2 cup water. Bring to a boil and stir until combined. Remove from heat and add cucumber wheels from 1 whole cucumber. Cover with plastic wrap and refrigerate for 2 to 8 hours.